The river is convenient for fishing. We cooked fish caught in the region. 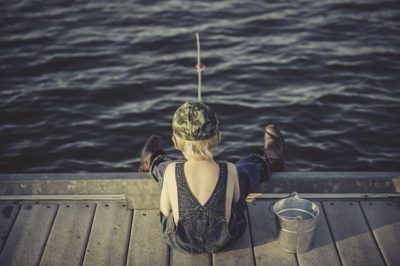 Children can realize the value of life when they release the fish they’ve caught. Fishing is one of his hobbies. He fished the river all day. He has views of his own on fishing. He reeled in his fishing line. I got to fish on the ocean for the first time. I want to do some fishing. Let’s go fishing at the lake. My fishing line got entangled in the weeds. We will go fishing if the weather’s fine.